NEW! See the results from the 50 Books | 50 Covers of 2017 competition. AIGA Design Archives is one of the richest online resources available to those who practice, study, and appreciate great design. Dating back to 1924, it includes more than 20,000 selections from AIGA's national juried design competitions and documents the shifting aesthetics and sensibilities of the designers of the day and features: packaging, corporate communications, brand and identity systems, typography, editorial design and illustration, and experience design. In addition to design by recipients of the AIGA Medal, the most distinguished honor in the field, the AIGA Design Archives also holds work by major American design firms and practitioners whose accomplishments might not otherwise be preserved online or made available to the public. 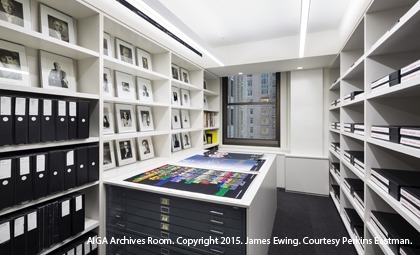 Special collections include the work of Chermayeff & Geismar, Vignelli Associates, Push Pin Graphic, and B. Martin Pedersen. 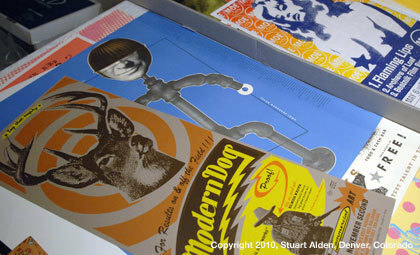 Since 1980, AIGA has also collected physical artifacts from its annual competitions, located in the AIGA Archives at the Denver Art Museum. Consisting of more than 7,000 entries (approximately 12,000 objects), it’s the largest and most comprehensive holding of contemporary American communication design in the world. 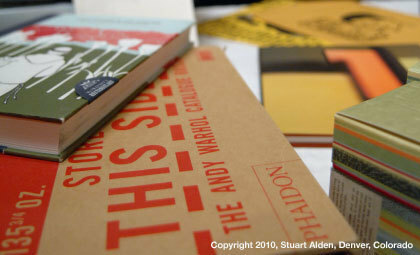 During AIGA’s first century, jury selections from its longest-running annual book design competition were given to the Rare Book and Manuscript Library (RBML), Columbia University in New York City. 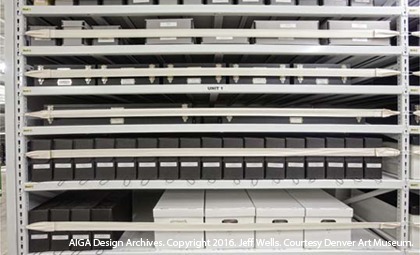 RBML’s collection includes nearly 5,000 books recognized for design excellence. Whether you’re a design practitioner, researcher, student, educator, or business owner, we invite you to explore the AIGA Design Archives and show your support: become an AIGA member or make a contribution to the Legacy Fund. For more, visit AIGA.org, or follow us on Twitter at @AIGAdesign and on Instagram @AIGAdesign. The descriptions of selections and credits published by AIGA on designarchives.aiga.org and its websites are based on information provided by those who originally submitted the work. The copy submitted may have been edited for length or style. AIGA is not responsible for missing information or credits. By making a submission, the entrant warrants that he/she possesses the right to authorize the reproduction and exhibition of the accepted works and to grant the rights identified in the call for entries. All names, logos, trademarks, and/or copyrighted images are the property of their respective owners. 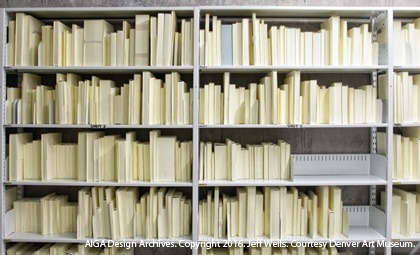 AIGA is limited to distributing images in the AIGA Design Archives. In most cases, AIGA has educational and (AIGA) promotional rights only. 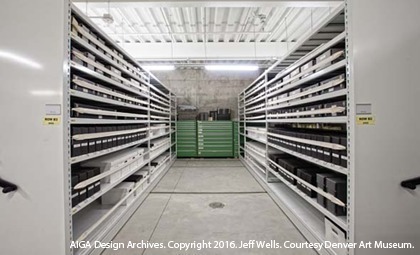 It is your responsibility to obtain any necessary copyright clearances from the rights holder specifically permitting the reproduction of images from the AIGA Design Archives and its websites prior to contacting AIGA's Archivist. You, the user, agree to these terms and to indemnify and hold AIGA harmless from any and all claims, suits, and expenses arising from your use of an image. 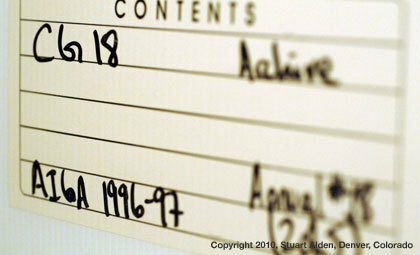 The online archive is organized by competition and then by year. The site provides deep linking within AIGA Design Archives—by clicking on a linked credit, you can view other entries within the archive tagged with the same credit. The simplest method for search is to enter a single term. For example, if you wanted to search for records related to dogs you would enter “dogs” as your request. By default your search would return results in order of most relevant to least relevant. This means that entries with a large number of instances of the word “dog” would appear before entries with fewer instances. The effect of sorting by relevance can also be seen in the fact that terms that appear in the title are more relevant than terms that appear in the description. An entry with the term “dog” appearing once, only in the title, would appear as more relevant than an entry appearing with the term “dog” once, only in the description. You can also search for a series of terms separated by a space. An example of such a search would be a search for “black dog.” By default, the search service will return only entries that have both “black” and “dog” in the entry. Similar to the previous example, the more instances of the words black and/or dog will increase the relevance. The search engine will also determine that entries where the words “black” and “dog” are close to each other are more relevant than ones where the words are further apart. The search functionality is smart enough to search for plurals, singulars, past tenses, and other stemmed version of your terms. A search for “encourage designer” would also, for example, find an entry with “encouraging designers” in the description. You can search the archive for terms that appear in specific fields. For example, if you wanted to find entries with the word dog in the title you could search for > title:dog. *Find all entries that have the phrase black dog in the title: title:"black dog"
*Find all entries that have black and dog but that don't have the phrase black dog in the title: black dog -title:"black dog"